Progressive and innovative music education, assessment, and performance training for students all across Canada. Discover our Classical and Contemporary Idioms™, Theory and Diploma syllabi, with flexible options to customize student's exam experience. Log in here to view your student's academic records, access your Teacher Resources, or edit your account information. 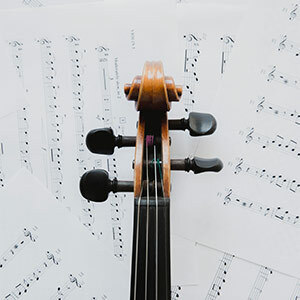 Conservatory Canada offers a modern and flexible range of musical instruction and evaluation programs to suit the individual needs of students and teachers. From our Flex Exams to our Contemporary Idioms syllabi, we strive to be progressive and innovative in everything we offer. Using technology to change the way students are assessed. Students can register for extra learning time with their Examiner immediately after their exam. These assessments focus on contemporary repertoire and improvisational skills relevant to today's modern student. Our new Contemporary Idioms™ Piano syllabus uses the American Popular Piano Etudes series as a manual for keyboard improvisation. Backing tracks engage student's aural skill, teaching them to play by ear. Our Classical Piano syllabus features resources and tests to teach students how to harmonize melodies using chords. Host Derek Oger speaks with leading Pedagogues, Researchers, Composers, Performers and Teachers. Conservatory Canada Radio is for the curious studio teacher looking to discover the CC difference and get more for their music. The CC Bookstore (coming soon) will have all of our approved program materials and original compositions by Canadian and international composers, available to browse and buy online. Conservatory Canada Publications are also available across Canada through our retail partners.